PARTNER NEWS: Antelop Solutions has signed up for the Visa Ready Tokenization program as an HCE Token Requestor Token Service Provider (TR-TSP) and plans to become Visa Ready certified, enabling it to connect its HCE NFC software-as-a-service mobile payments platform to Visa Token Service. Antelop, founded by former senior consultants and technical product managers at Visa, launched its Visa- and Mastercard-compatible SaaS solution in June 2017. The company’s technology is used by French bank Crédit Mutuel Arkéa to power the NFC payments service it launched in February this year. Antelop, NFC mobile payment expert, has signed on to the Visa Ready for Tokenization program as a new HCE Token Requestor-Token Service Provider (TR-TSP). Antelop now joins a global network of partners that Visa has built out to offer secure, digital payment token services and ensure that a broad range of devices, regardless of form factor, can be enabled for digital commerce. Once Visa Ready certified, Antelop will be able to strategically connect its SaaS platform to Visa Token Service (VTS), and enable banks and card issuers to launch their own NFC mobile payment solutions through its white-label multi-scheme SaaS solution. “Our HCE SaaS platform, hosted in a PCI-DSS environment, compliant with latest schemes requirements, simplifies onboarding for banks and issuers to launch their own NFC Issuer Wallets,” Antelop CEO Nicolas Bruley says. Antelop developed leading NFC mobile payment solutions for banks and issuers putting security at the heart. Antelop was the first HCE expert to gain Visa Security compliance in 2015, not relying on any 3rd party software. Antelop can either provide a pre-certified multi-scheme NFC SDK to integrate into an existing app or its white-label app for a seamless integration. SaaS solution is fully API driven and comes with Antelop integration support. Antelop, led by former senior consultants and technical product managers at Visa, recently launched, at Money2020 in Copenhagen, its new HCE SaaS solution to quicken time to market for banks and issuers’ own mobile payment solution. The company’s HCE solution is currently being used to power French bank Crédit Mutuel Arkéa’s NFC payment service, which was launched in February 2017. 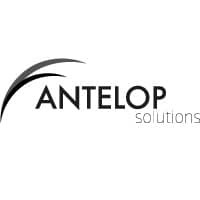 For more details contact Antelop here.